Body Fortress Super Advanced Whey Protein is a supplement intended for use by bodybuilders and other athletes who need high levels of protein to support their activities. If you are not a strength-training athlete, you still may benefit from Body Fortress Super Advanced Whey Protein, as protein is a vital nutrient. According to Body Fortress, the protein supplement is effective for athletes because of its unique blend of proteins and its inclusion of amino acids, including glutamine and leucine, which may offer performance-enhancing benefits. Although all protein has the potential to improve muscle building, Body Fortress Super Advanced Whey Protein has benefits other sources may not provide. The protein product is made from whey protein, which is absorbed by your body more quickly than other protein sources. In addition, Super Advanced Whey Protein offers high levels of leucine, a key amino acid in anabolism, or muscle building. The "American Journal of Physiology - Endocrinology and Metabolism" says the addition of leucine to a post-workout protein supplement significantly increases muscle protein and insulin response. The researchers note that adding leucine to post-workout protein shakes may be an "effective strategy to increase muscle anabolism." Another ingredient contained in Super Advanced Whey Protein that may provide benefits other protein sources cannot is creatine. Although creatine is most often associated with increased muscle size, it may improve endurance as well. 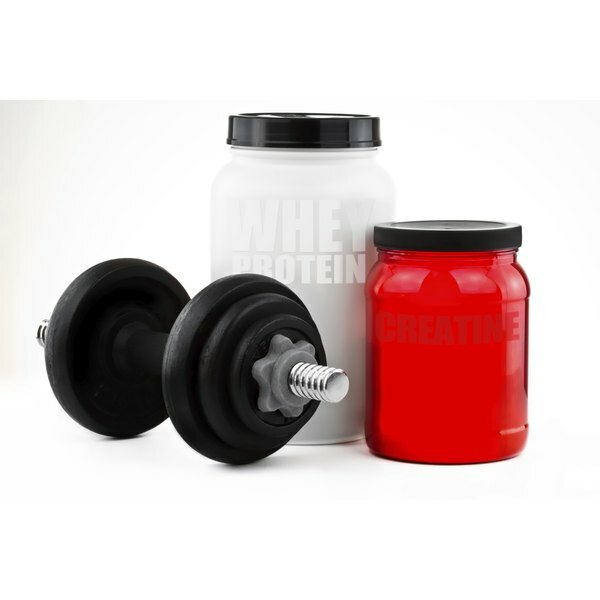 A study published in the "Journal of Strength and Conditioning Research" found that daily supplementation of creatine significantly improved muscular endurance compared to a placebo. Fat oxidation is the process by which your body burns fat to produce energy. This is important because it can improve your body composition and ensure that the weight you lose on a diet plan is from fat, rather than muscle. Because Super Advanced Whey Protein contains the amino acid taurine, it may improve fat oxidation. The "International Journal of Sport Nutrition and Exercise Metabolism" reported that taurine supplementation increased fat oxidation during exercise. Another benefit provided by the taurine contained in Super Advanced Whey Protein is that it may reduce oxidative damage. Oxidative damage refers to damage to your cells induced by stress, such as physical exercise. Oxidative damage is of particular concern for athletes involved in intensive training. According to a study in the journal "Amino Acids," supplementation of taurine "may attenuate exercise-induced DNA damage and enhance the capacity of exercise due to its cellular protective properties."